between two titans that resulted in this dynamite recording, listen. 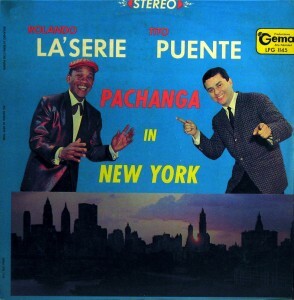 This entry was posted in Cuba, Pachanga, USA by Moos. Bookmark the permalink. Just wanted to let you know that I appreciate what you do. You’ve got good taste and rare items, and everything’s properly tagged with good images at the right quality (320 kbps). You’re an asset to the web.